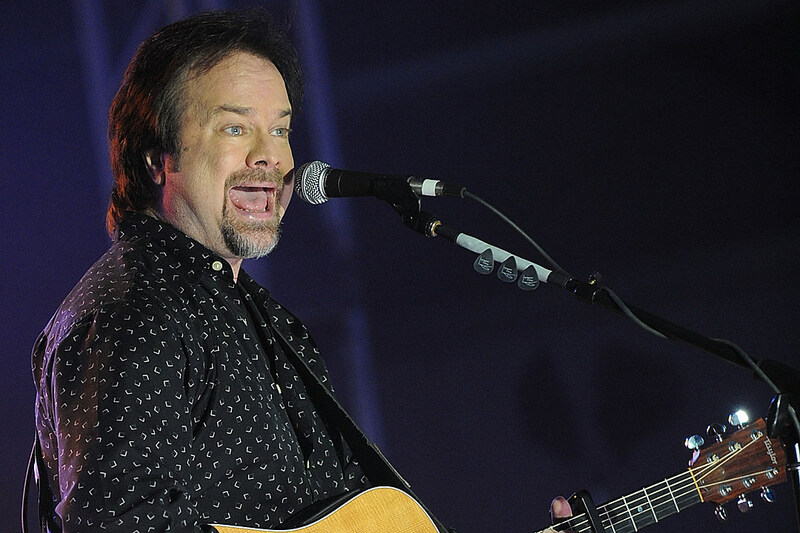 Less than a week after he sang to celebrate the inauguration of President Donald Trump, Restless Heart singer Larry Stewart has released a statement to correct a misperception about his performance. Stewart joined former Little Texas singer Tim Rushlow and Lonestar singer Richie McDonald for the performance at Trump’s Make America Great Again! Welcome Ceremony, which took place at the Lincoln Memorial in Washington, D.C., on Jan. 19, one day before Trump was sworn into office as the 45th President of the United States. Billed as the Frontmen of Country, the three singers performed a medley of their biggest hits that included Restless Heart’s “The Bluest Eyes in Texas” and “Why Does It Have to Be Wrong or Right,” Lonestar‘s cover of the Marc Cohen classic “Walking in Memphis” and their hit “I’m Already There,” and “Amy’s Back in Austin” and “God Blessed Texas” from Little Texas. They closed out with “God Bless the USA,” helping introduce Lee Greenwood to the stage to perform his patriotic anthem with them. Toby Keith closed out the event with a patriotic set. In fact, the group currently have a string of tour dates listed on their website, beginning in Alabama on Feb. 9 and running all the way through July, when they will play at Country Thunder USA in Twin Lakes, Wisc. More dates will be added to the calendar as they are announced.